The streets of Vrindavan are thronged with visitors during this most auspicious Damodar month. People from around the globe have booked their rooms in the hotels and guesthouses of Vrindavan, Mathura and other pilgrimage towns of Vraja and locals and visitors alike are enjoying the festive atmosphere. Damodar month began from Ekadasi, the day after the Vijaya Dashami and will end on Akshaya Navami. 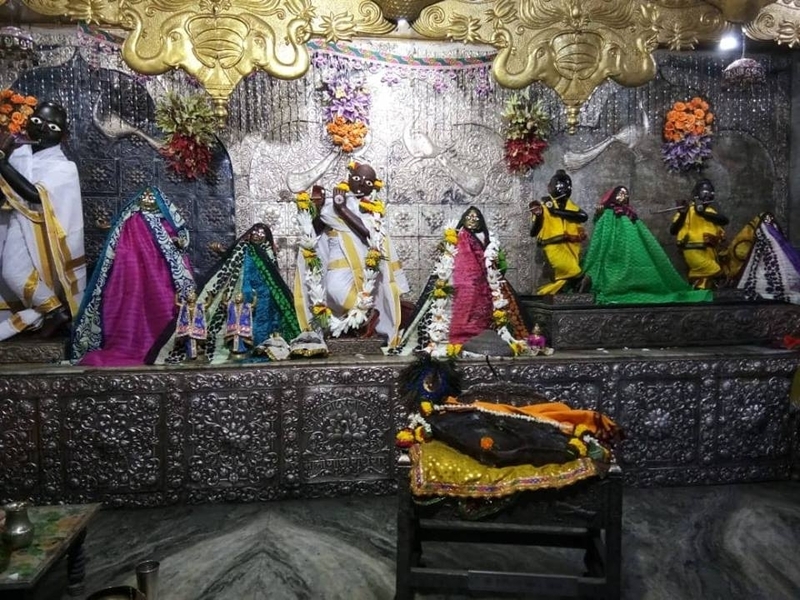 Radhakund, despite, being a small town, is completely booked out with every room rented out for this auspicious month of Kartik, which celebrates Shri Krishna’s Damodar lila. Every year, large number of devotees visit Braj and Vrindavan during the auspicious month of Kartik. Most stay for the entire month, but, even those who can’t stay here for the whole month, consider themselves lucky to spend a few days under the Divine Shelter of the Lord and Lady of Braj Bhoomi. Devotees visit Vrindavan in groups led by their Gurus or the senior Sanyasi from the ashram or Mutt they follow. Aesthetics follow the strict rules mentioned in the religious texts and follow a satvik (mode of goodness) lifestyle during month long auspicious month. The strict followers take an early bath; preferably in Yamuna or any kund, eat only the food that they have cooked and offered, walk barefooted in the Dham; increase their chanting of the Mahamantra; read Shrimad Bhagvatam, the Gita and other religious text describing the pastime of the Lord. Radha Damodar temple is the special attraction in this month, as it is named after Damodar and many people refer to this month as Damodar Maas. 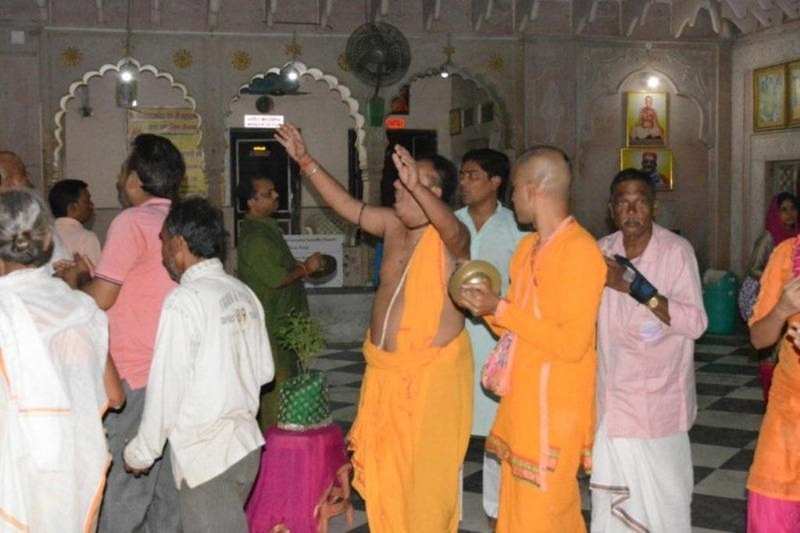 Devotees offer lamps to the deities in the Damodar temple and other temples of Braj. The four-round parikrama of Damodar temple has equal significance to one round of Girraj Parikrama. Therefore, devotees don’t miss the chance to perform four rounds of Damodar Parikrama every day during Damodar Maas. It is said that the observance of the Kartik vow or Niyam Seva is simultaneously a direct and an indirect cause of the attainment of the desired feelings. The indirect cause is the aspect of austerity in maintaining strict restrictions on eating etc., and the direct cause is the part of observing a certain quota of hearing and chanting. 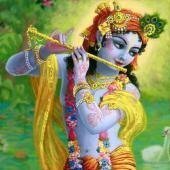 In the month of Kartik, more attention is given to the regulative principles of hearing and chanting and worship of Shri Damodar than in other months of the year, because, if one performs even a little bhajan in this time, Shri Damodar will accept it as a great offering. 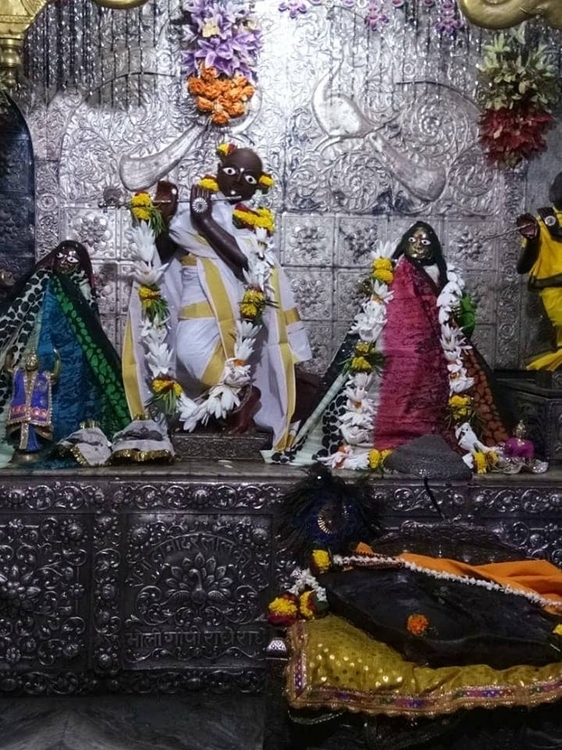 These days, crowds begin to gather in the temples as early as 3.30 am for Mangala Arati and people race from one temple to the other in the morning to attend the most auspicious Aarati of the day. 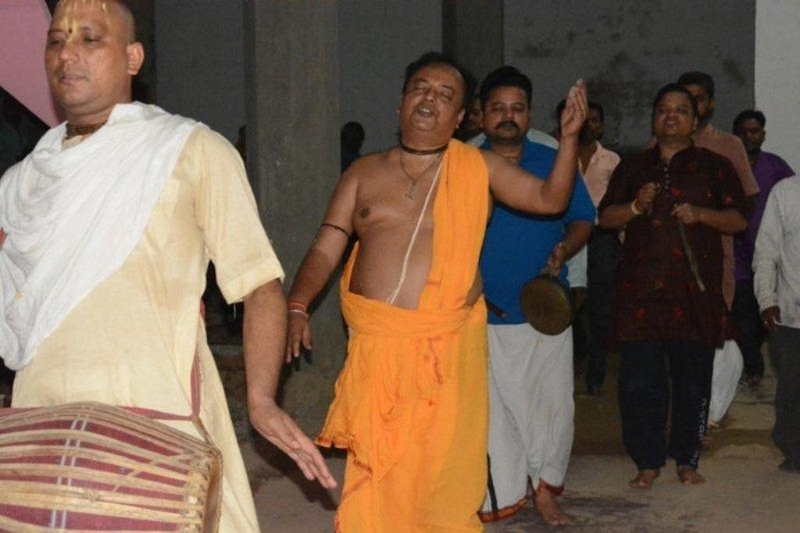 The first Mangala Arati is performed at 3.30 am in Shri Shyam Sundar Temple, followed by Shri Damodar at 4.15 am, Shri Govinda Dev 4.30 am, Imlitala Mahaprabhu Mandir 4.45 am; Shri Radha Raman, Shri Gopinath , Shri Gokulananda, Shri Madan Mohan at 5.00 am. The waking up Lila or the Kunjabhanga bhajans sung in the temples fill the moods of the visitors with devotion. Devotees sing bhajans glorifying Lord Damodar of Gokul throughout this month and devotedly worship the mischievous and beautiful form of Lord Krishna. After the Mangala darshan, devotees participate in the Nagar Sankirtan performed by the various groups, chanting the holy name, dancing and roaming in the streets of Vrindavan. Some devotees perform the Vrindavan Parikrama straight after the morning arati. Devotees offer ghee lamps in the temple mostly at the dusk. The lila Kirtans are sung during the eight watches of the day during Kartik. Special darshan of the deities are organized all in the Sapta Devalaya temples. This is a very important month for those who perform the Braja Parikrama, visiting each of the main places of Krishna’s pastimes. Several important festivals including Sharad Purnima, Karva Chauth, Ahoi or Bahulashtami, Diwali, Bhatri Dwitia, Govardhan Puja, Gopashtami and Akshaya Navami fall within the 35 days period of this auspicious month, which each festival having special significance for aesthetics and devotees.